D-Link’s easy-to-use Wireless G USB Adapter (WUA-1340) is ideal for adding basic wireless connectivity to your desktop or notebook PC. 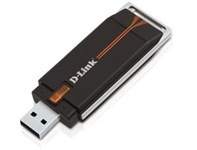 Connect to your wireless network from your desktop or notebook PC using the D-Link Wireless G USB Adapter (WUA-1340) and browse the web, check e-mail, and chat with friends and family online. The Wireless G USB Adapter offers simple network connectivity without the hassle of running a network cable. Set up the USB Adapter in minutes with D-Link’s Quick Setup Wizard. In addition, D-Link’s new configuration utility detects available wireless networks so you can quickly connect to a network. -XP (WHQL) ,2k (WHQL) Driver.